Hospitals have hundreds of rooms and multiple entries that need constant surveillance to properly respond in threatening situations. When coordinating a security response, some hospitals experience delayed communications because of the number of different devices that staff are using to communicate. When every second counts, healthcare officials need a reliable way to alert the proper personnel no matter where they are or what device they are using. With 90% of US and Canadian hospitals experiencing a rise in violent events, healthcare providers are seeking ways to improve safety for patients, staff, and visitors. Whether it is an aggressive patient that needs to be subdued or a visitor threatens that safety of staff members, it is critical for hospital personnel to respond to incidents as soon as they occur to prevent them from escalating. To ensure a safe environment hospitals across Canada are choosing to use interoperable communications solutions. Motorola’s WAVE platform enables hospital personnel to communicate using virtually any device – two way radios, smartphones, tablets, laptops, landlines, and more. 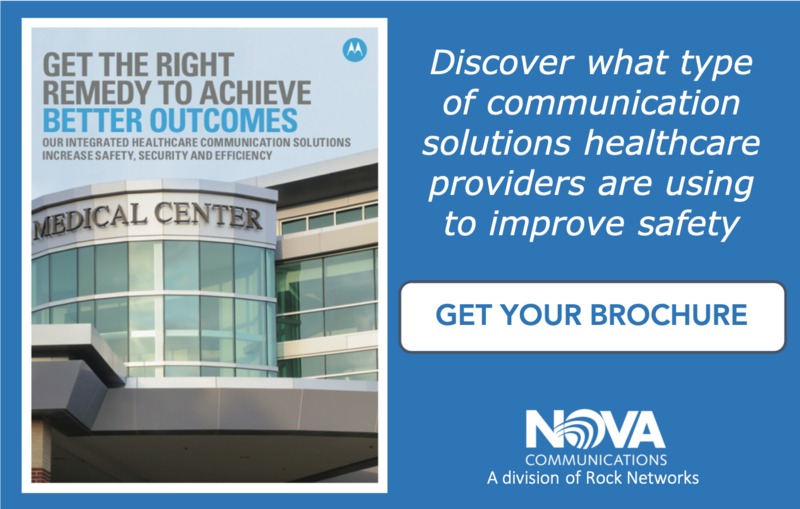 Instead of spending time contacting each person individually based on what device they are using, hospitals are leveraging their existing network of two way radios to communicate with any device on or offsite. This solution not only saves time but also saves hospitals money by expanding their existing radio system to work with the devices personnel are already using instead of purchasing more radios and equipment. 9:14 PM – A security guard uses his MOTOTRBO XPR5550e mobile radio to alert hospital management that there’s been a major incident on campus and the response team is required. 9:14 PM – The hospital operations manager immediately receives a call on her MOTOTRBO SL7550e handheld radio. Using a Bluetooth earpiece, she can speak with the response team discretely while standing in a crowded waiting room to not alarm the other patients. 9:15 PM – Security staff in the control room scan the GPS-enabled console to see where their team is located and immediately alert those closest to the scene. 9:15 PM – The hospital CEO, who is out of town, can stay informed and communicate with staff on site throughout the entire incident on his smartphone. 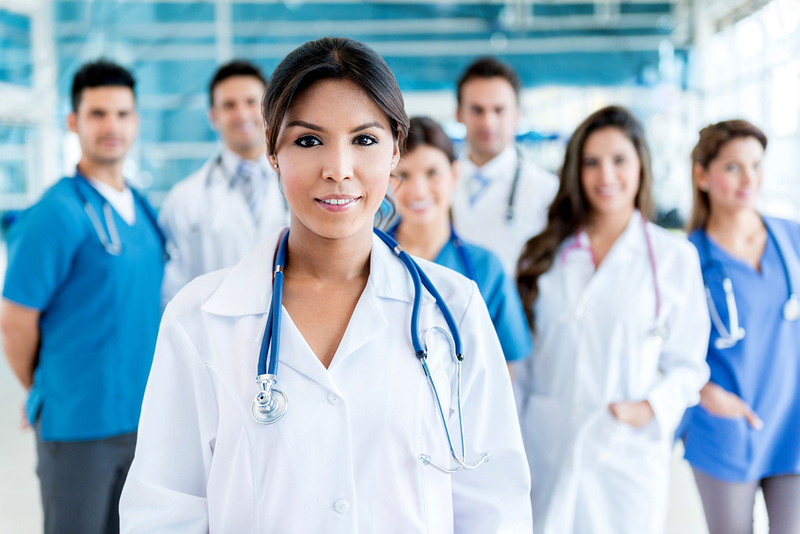 To save our customers in the Canadian healthcare industry even more time and money, the Nova team offers full-service solutions to manage all aspects of communications. Software updates, troubleshooting, maintenance, and device upgrades are all covered by Nova Communications so our customers can focus on their jobs instead of their devices. For a more in-depth view of how healthcare professionals are using interoperability to improve patient and staff safety, download our Motorola healthcare brochure below. We have 30 years of experience in designing, installing, and managing communications systems for healthcare facilities across Canada. Our team of wireless voice and data communications specialists is here to answer any questions you have about choosing the right devices and communication systems for your operation.